June, the start of sundress/ wedding season, is fittingly named after the Roman goddess Juno. 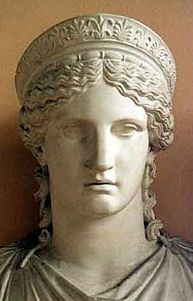 Juno was the goddess of marriage, but really, she was the goddess of jealousy. She’d stroll out of her Mount Olympus high rise, see all these nymphs (in the classical sense) in their sundresses holding hands with their boyfriends (or her husband Zeus/ Jupiter), and be filled with envy. That envy inspired her to turn people into cows, start wars, or send literal Furies after her enemies. Really, there are only two kinds of stories in Roman Mythology: ones where Juno aggressively seeks vengeance, and ones where she does not. Passive Juno allowed the continent we push blocks around to be named after her husband’s slam piece. Aggressive Juno orchestrated the fall of Troy. You know what they say about Italians- they learn best from their mothers. This, Weasels, is where we share our wisdom. A disappointed, passive Juno surveying her four center Italy, about to be squeezed in 1908. Now like Juno, Italy doesn’t have to be constantly aggressive, but it must be jealous. Italy’s great challenge is getting stuck on 4 centers, home and Tunis, until the end of time. In fact, Italy only gets out of the gate, which our stats department defines as reaching 7 centers, in 33% of games, worst of the seven powers. But a strong Italy, with its variety of weapons and targets, brings havoc across Europe. Italy is uniquely positioned between the theatres and at the edge of the stalemate line, if you count Tunis. Early game involves a fun variety of openings and establishment in one theatre, midgame requires a strategic maintenance of tempo and unit mix, the end game a vast kaleidoscope of solo possibilities. Drop a comment for how you best (or least best) play Italy. Brandon and Jim both had some solid results last year they could perhaps speak to. I find that Chris Kelly often does well on the boot, consistently hitting 7+ as the Italian. Perhaps Bull Weasel and Turkey superfan Matt “the Sundstrom” Sundstrom could share some thoughts on how Italy can best annoy Turkey, its biggest threat? Not to forget subprime Weasel John Gramila soloed with Italy at the 2016 WDC. Hit the jump for stats department report on Italy, best club results, and Jake’s most recommended Italian articles.